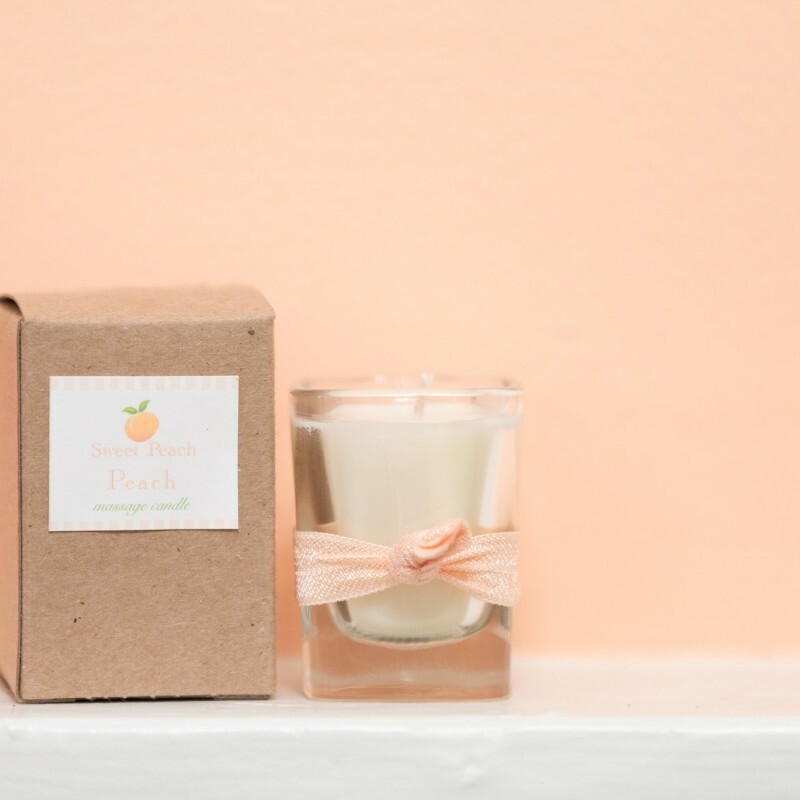 Create a spa like environment at home with this peach scented soy candle. 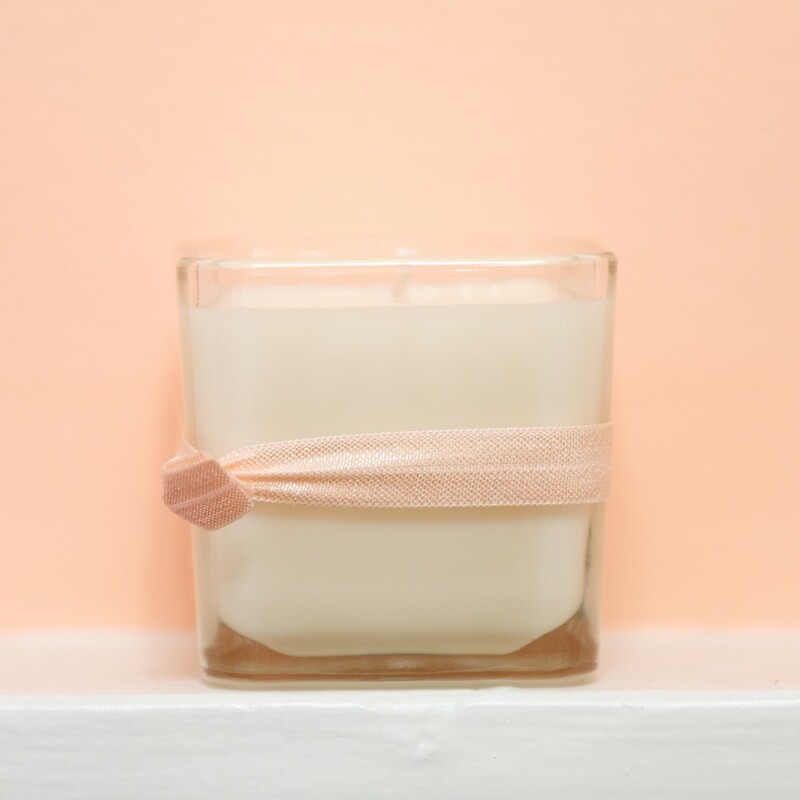 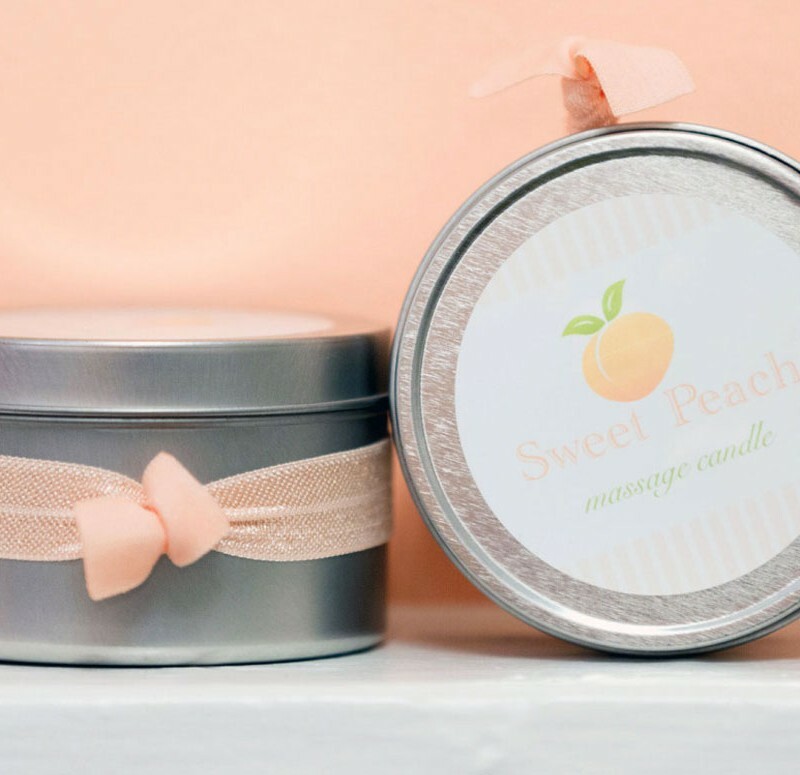 Our best seller all-natural soy candle smells like delicious peach. 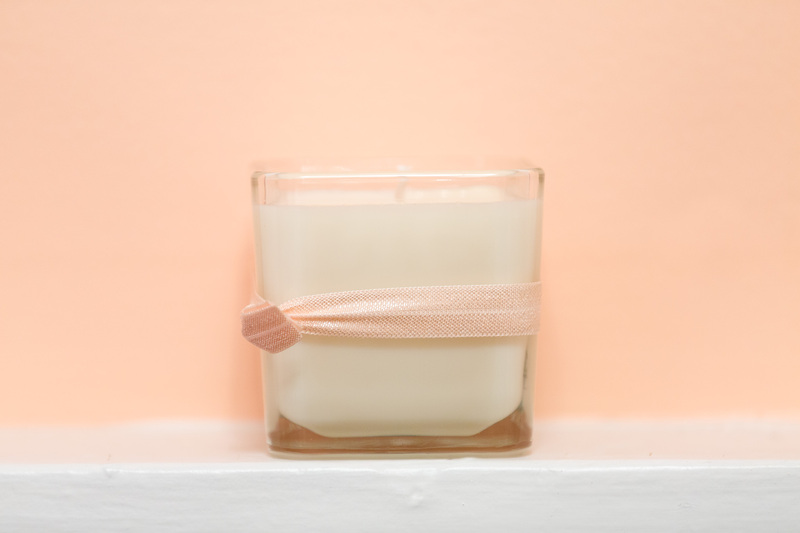 They come in beautifully large glass containers with an eco-friendly cotton wick and a peachy colored elastic hair tie.